Chinese characters, and epigraphs. 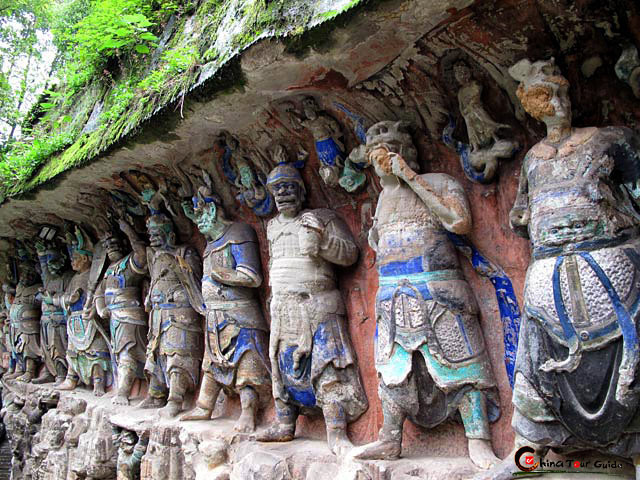 Dazu County is known as "the county of rock carving" because of the fame the Dazu Rock Carvings have achieved. Dazu County covers approximately 540 square miles and was created during the Tang Dynasty in the year 758. 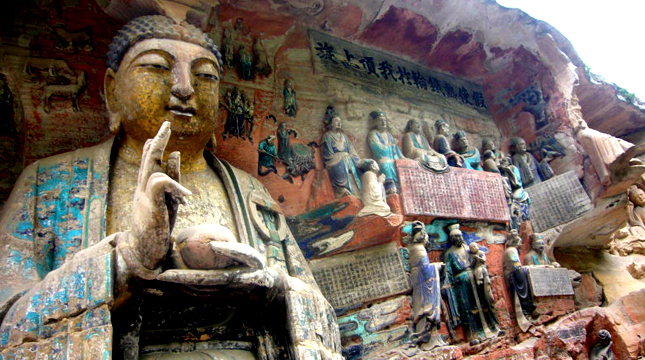 The Dazu Rock Carvings include over 100,000 Chinese inscriptions and feature over 5,000 artistically carved statues. The Dazu Rock Carvings in Dazu County are by far one of the most historical, cultural, and popular tourist destinations in China.